Over the holidays, law enforcement agencies usually increase their focus on DUI enforcement. From staffing more traffic officers over the holidays to running more sobriety checkpoints, DUI enforcement over festive holidays like New Year’s Eve can be far more intensive, and if you are planning on celebrating with alcohol, planning ahead can be critical to avoiding a holiday DUI arrest. Start 2015 out right by keeping these tips in mind to avoid a holiday DUI arrest. If you are facing DUI charges, however, contact us for the best DUI defense. Ask a sober friend to give you a ride – Your friends going to the same party as you likely understand how serious DUIs are, and they may be willing to help you avoid one by driving you home after the party. Pay for a taxi cab – If you can’t find any friends to be your designated sober driver, call a taxi cab. Although you may have to wait a little bit (as many people may be relying on cabs on New Year’s Eve), waiting and paying a cab driver is far better than risking a holiday DUI arrest. Plan to stay with a friend – If finding a safe ride home seems out of the question, think about asking a friend if you can stay the night with him or her. Again, even if you end up sleeping on an air mattress or floor, it’s way better than waking up in jail and dealing with a holiday DUI arrest first thing in the New Year. Get a motel room for the evening – If you can’t stay with a friend, shell out some extra money to get a motel room for the evening. Even if you may have to pay rates that are double or more than the standard rate (because of last-minute booking and higher New Year’s Eve rates), this option is still way, WAY cheaper than the costs of a DUI, which can exceed $10,000. Party at home – If planning on getting a ride home or staying somewhere is getting too complicated, then think about NOT going out and celebrating at home instead. Although this may not be the spectacular celebration you may have been planning, it’s better to be safe than sorry and avoid a holiday DUI arrest. 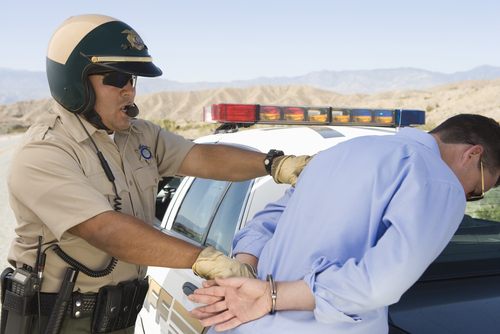 Have you or a loved one been arrested for or charged with a DUI? If so, the Broomfield and Boulder DUI defense attorneys at the Peter Loyd Weber & Associates are ready to immediately start defending you. Our primary concern is protecting your constitutional rights throughout the criminal process while helping you obtain the best possible outcome to your case.